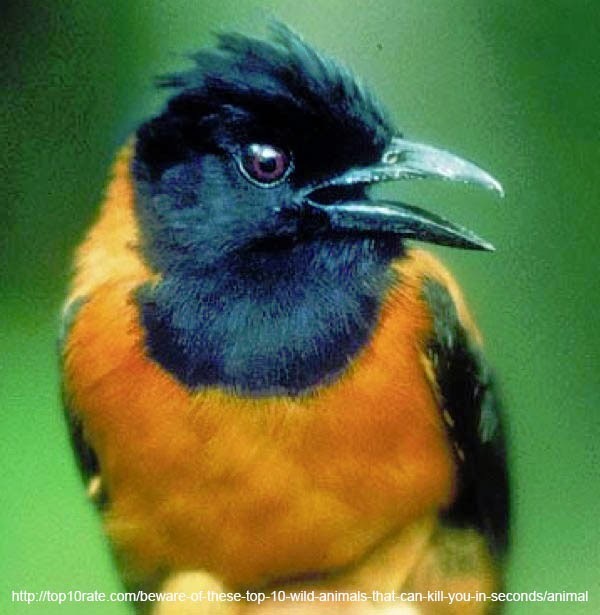 Pitohui is a genus of 2 species of birds. When you think of poisonous animals you do not usually think bird probably because birds usually rely on their ability to fly as a defence. The Pitohui are different. They are one of the few birds in the world which are toxic. Pitohui don't produce their own poison but sequest it from various insects in their diet. The poison is a neurotoxin and it accumulates in their skin and feathers. One of these birds is toxic enough to kill you within seconds of the poison reaching the circulatory system, but they don't have a delivery method. Not only is the bird highly toxic if eaten, but it causes severe irritation when handled. 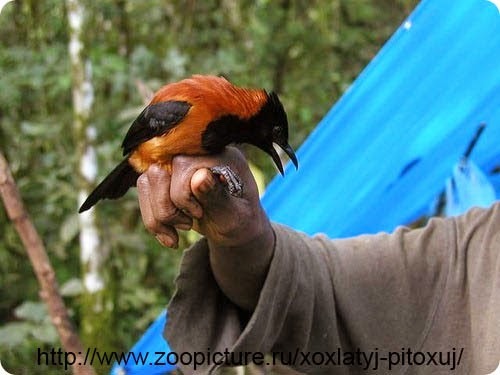 Pitohui are endemic to New Guinea. There are several species which have previously been included in this genus, but have been moved to other genera, sometimes other families.